Janet Jackson has said she's a fan of Justin Bieber and wouldn't mind working with the singer in the future. 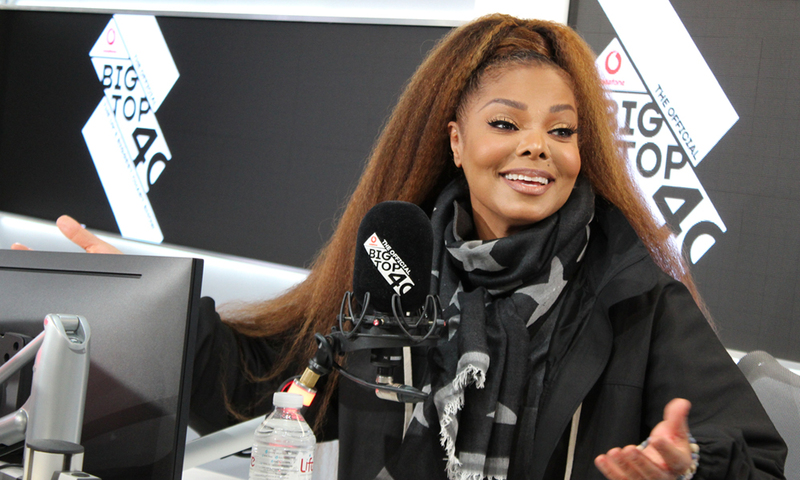 Chatting to the Official Vodafone Big Top 40, Janet was asked about who she'd like to collaborate with. Her new single 'Made For Now' features Daddy Yankee who, along with Bieber, was part of 2017's global hit 'Despacito'. "I’m not opposed to working with Justin. I’ve heard his music. I think he’s talented," the singer revealed. "I love Daniel Caeser and H.E.R. as well," Janet said about other potential collaborators. The legendary singer appeared to tease an upcoming project but was coy about who she'd be singing with. "I wouldn’t mind doing something with…I will…don’t want to say too much. But there’s nothing in the works, I haven’t…but I’ve been…because that’s what it sounds like right?" "Because I have been approached and we’ll see what happens," Janet said. Could it be a Janet and Justin collab that the singer was talking about? It's definitely one we'd love to hear.